Antarctica is sometimes described as a "continent for science" - what kinds of science goes on there? What are the scientists trying to find out? Why go somewhere so far away, difficult to get to and where it is difficult to work and live. Antarctica is so important to scientists because it is untouched to an extent that is not found anywhere else on earth, activities there are monitored and controlled according to internationally agreed rules. It has a unique ecosystem which is worthy of study in itself, in particular how Antarctic organisms of all kinds are able to withstand the deep cold and not just survive, but thrive. Observing space and the Universe, it is an excellent place for astronomy, the dry, clear air means that telescopes in Antarctica can see the universe almost as clearly as space telescopes at a much lower cost. Climate data record - Antarctica holds a frozen record in the ice and soil of a million or more years worth of information about past climates, readily dateable along with samples of the ancient atmosphere too. The near pristine environment with far less human activity and contamination than anywhere else on earth, makes it ideal to to study all manner of phenomena. 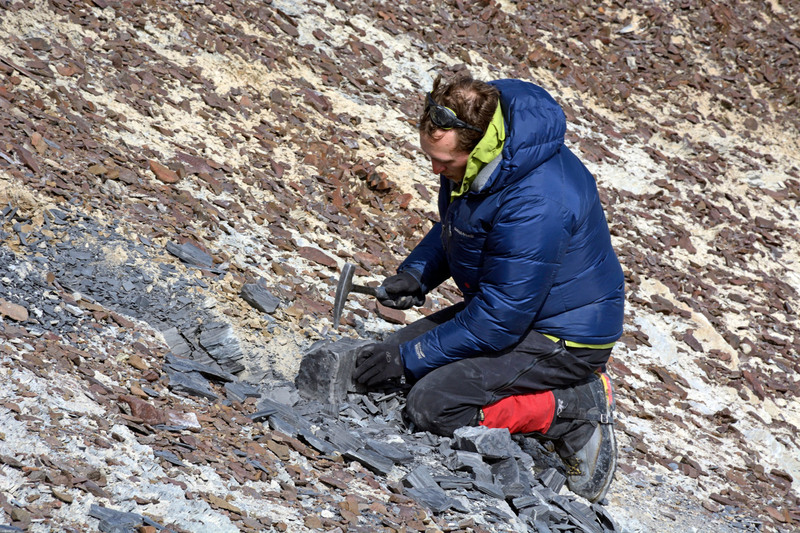 It is the best place on earth to find meteorites. How much the Antarctic atmosphere and Southern Ocean affect the rest of the world, in terms of weather effects and the impact of climate change in both directions. Understanding how ice sheets grow or shrink. Antarctica has enough ice to raise global sea levels by 60m if it melted so even small changes could be significant. Find what Antarctica's natural history has been in terms of ice-cover sea-level and temperature as a means of predicting future effects due to climate change. Identify whether changes in Antarctica are from the activities of man or are naturally occurring processes. The South Pole Telescope, a short-wave radio telscope. "Maximizing scientific return while minimizing the human footprint should be the goal." In 2014, the international organization, the Scientific Committee on Antarctic Research (SCAR) met and 75 scientists and policy-makers from 22 countries came to an agreement after discussions, debate and voting, on what are the priorities for scientific research in Antarctica for the next twenty years and more. This was the first time that such agreement had been made. A list of hundreds of scientific questions that could be addressed was filtered down to what were agreed to be the most pressing 80 questions. Science in Antarctica comes under three broad headings: some examples are given of recent studies that are taking or have recently taken place. 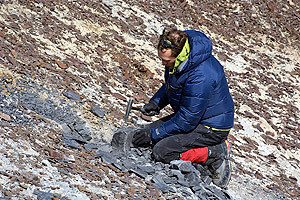 Exploration of the Gamburtsev Subglacial Mountains in East Antarctica. A range of mountains and subglacial lakes that stretches 1,200km and up to 2,700m high about the same size as the European Alps but completely buried by 600m of ice under the East Antarctic Ice Sheet. They began to form about 1 billion years ago and are thought to have been the place where glaciation in Antarctica first started. Investigated using aircraft with ice penetrating radar and laser scanners. A survey of Antarctic permafrost and soils and how these change and interact with ice and atmosphere. Permafrost areas are being mapped and recorded, bore-holes drilled and samples taken for the record of past climate change they hold. Investigations into the effects of under-ice volcanic activity. Antarctica is home to Mount Erebus, one of only three volcanoes on earth with a permanent lava lake, while this is on the surface, there are many other areas of volcanic activity that have recently been detected below the ice sheets. These areas are thought to have important effects on the movements of glaciers as meltwater under the ice can act as a lubricant. Understanding the distribution and movement of krill in the Southern Ocean. Krill are small shrimp-like crustaceans that are a key prey item for many of the higher predators that live in the Southern Ocean such as penguins, seals and whales, they are also fished commercially. 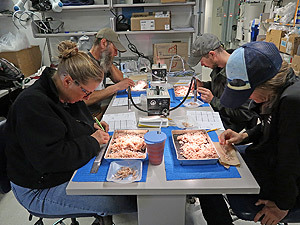 Knowing and being able to estimate the numbers of krill over time will enable the fishery to be managed, wildlife to be conserved and the effects of climate change to be seen. Remote sensing of large animal populations in distant and sparsely populated regions. Satellites are used to take high resolution pictures in remote Antarctic regions to estimate the populations of Emperor penguins and find new colonies. Also, small sensors can be placed onto animals to track their movement across the oceans. Investigating the effect of increasing ocean acidification on shell-building invertebrates. Increased carbon dioxide leads to acidification of bodies of water when CO2 from the air dissolves in the water. This affects the ability of crustaceans and molluscs amongst others to form shells and other exoskeletons, currently the consequences of this are unknown. Observation of background microwave radiation at the South Pole provided evidence for the moments that followed the Big Bang. Very dry air that is also relatively thin due to the altitude means that there is little absorption of the microwaves that are being measured, allowing more accurate observations. 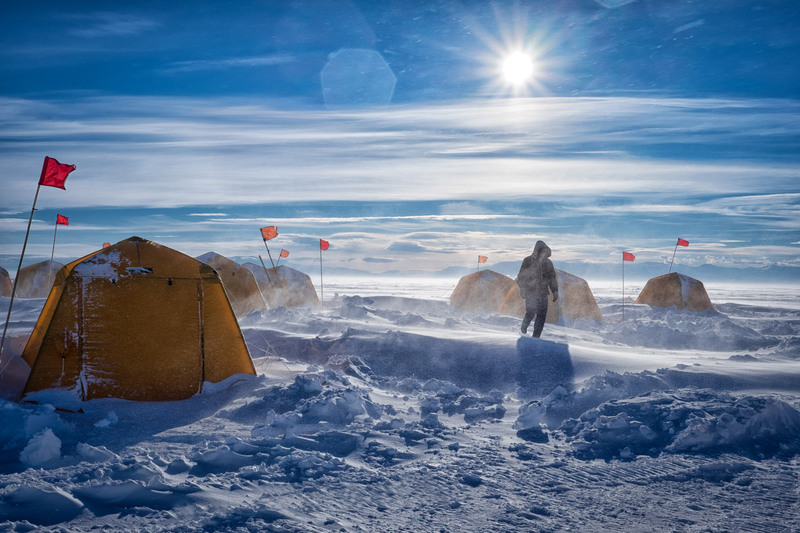 The International Trans Antarctic Scientific Expedition (ITASE) has collected ice, atmospheric and weather data from the remotest places to provide a more complete data set when considering Antarctica's role in environmental and climate change. This has consisted of the collection of ice-cores by using tractor-trains pulling all supplies and personnel across the ice-cap. Investigating the uptake and distribution of atmospheric carbon and heat by the oceans and the influence on global climate. This requires the gathering of data and measurements from ships and aircraft of interactions between the sea and the air, within the sea, and between the Southern Ocean and other oceans. Data also comes from underwater autonomous vehicles and even Antarctic seals carrying instruments when diving that are designed to come loose after a fixed time. Weather data from surface and upper air for forecasting and to show climatic trends. Measuring changes in upper atmosphere ozone concentrations. Sample of air and snow to monitor changes in greenhouse gases in the atmosphere and in the ice. Ground measurements of the occurrence of global lightning, and wave activity in the magnetosphere. Ground measurements of the temperature of the mesosphere (87km above the Earth's surface). Monitor selected marine species in the Scotia Sea. Measure changes in ocean currents, nutrients and temperature. Take sea-ice observations to identify annual and ten-year trends. Survey the diversity of groups of organisms on land and at sea. Carry out geological and geophysical surveys, and surveys of ice and surface features. Carry out aerial photography and ground-based topographic surveys. Picture credits - National Science Foundation, taken by the following: South Pole telescope - Dr. Daniel Michalik / Kneeling geologist with hammer - Peter Rejcek / Penguin diet sorting - Keri Nelson / Tents and camp - Rachel Murray / Top banner - Diver over dive hole in ice - Mike Lucibella, Emperor penguin and scientists - Kristan Hutchinson, Scientist in snow-pit - Elaine Hood.